First Choice Neurology (FCN) – the largest neurology group in Florida welcomes Dr. Ramesh Gopalaswamy, Dr. Veena Subramanian, and Dr. Bruce Zaret of NeuroPros in Plantation, Florida. 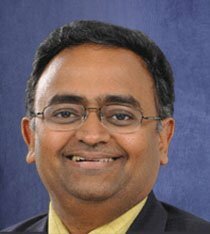 Dr. Ramesh Gopalaswamy has been practicing neurology since 2000. He specializes in general neurology and neuro-ophthalomology. His specialties include neurology, headaches and migraines, stroke, neuro-ophthalmology, and neuro-otology and balance disorders. He is a graduate of Madras Medical College, University of Madras, in Chennai, India. He completed his internship at Government General Hospital and New York Hospital Medical Center of Queens. Dr. Gopalaswamy completed his neurology residency at SUNY Health Sciences at Stony Brook and received a diploma in Ophthalmology from Tamil Nadu Dr. MGR Medical University. He completed he fellowships at Institute of Medical Education & Research in Ophthalmology, and Albert Einstein College of Medicine/Montefiore Medical Center in Neuro-Ophthalmology. Dr. Gopalaswamy is a member of the American Academy of Neurology-Section on Neuro-ophthalmology/Neuro-otology, North American Neuro-Ophthalmological Society, and International Perimetric Society. 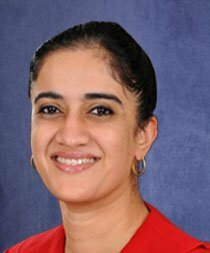 Dr. Veena Subramanian has been practicing neurology since 2002. She specializes in neurophysiology, epilepsy, headaches and migraines, dementia, movement disorders, and stroke. Dr. Subramanian is a Diplomate at the American Board of Psychiatry and Neurology. She is a graduate of Madras Medical College, MGR Medical University, Madras, India. She completed her internal medicine internship at Ohio State University, Safdarjung Hospital, and Government General Hospital. Dr. Subramanian completed her neurology residency at Ohio State University. Dr. Subramanian is a member of the American Academy of Neurology. 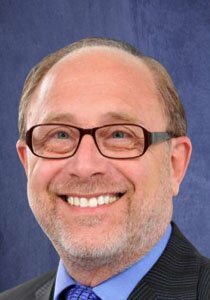 Dr. Bruce S. Zaret has been practicing neurology since 1979. Dr. Zaret specializes in neurophysiology, epilepsy, headaches/migraines, dementia, and vertigo. He is a graduate of Jefferson Medical College in Philadelphia, PA. He completed his internal medicine internship and residency at Bronx Municipal Hospital Center and Albert Einstein College of Medicine in New York. Dr. Zaret completed his neurology residency at Albert Einstein College of Medicine and fellowship at New York Neurological Institute in EEG & clinical neurophysiology. Dr. Zaret is a fellow of the American Academy of Neurology. He is a member of the Epilepsy Association of Broward County, Epilepsy Foundation of Florida, and American Association for the Study of Headache/American Headache Society. Their office is located at 260 SW 84th Avenue, Suite C, Plantation, FL 33324. To make an appointment with Dr. Ramesh Gopalaswamy, Dr. Veena Subramanian, or Dr. Bruce Zaret, please call (954) 361-3116.